As the fallout from Papa John’s founder and former CEO continue to reverberate, we think it’s time to take a closer look at what exactly has happened. As most of you know, John Schnatter aka “Papa John”, was recently booted from the company in a highly publicized dismissal that basically was reckless and irresponsible. For those of you not in the inner circle of Papa Johns, apparently there was a conference call and John Schnatter used the N-word on the call. I was not privy to the call and don’t know in what capacity it was used, nor if he regularly uses such language. We will leave that up to HBO’s Bill Maher to decide if his use of the N-word was in an acceptable or unacceptable manner. We at the SIPA do not condone such language so we will take the position that there is no use of the N-word as an insult or in Bill Maher’s comedy routine, which received almost no backlash from anyone in the media. The bigger question we have is, where is the SEC in this case and why hasn’t the stock (symbol: PZZA) been halted until further notice? Cue the CSI music and let us find the truth using FACTS that will get to the bottom of this apparent mob hit on Papa John. 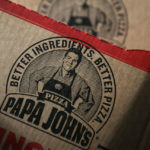 FACT: Papa Johns is publicly traded (PZZA) and as such must follow stringent reporting and disclosure requirements and are responsible for making sure there is no leak of confidential information that can affect the company stock price. FACT: Material insider information is material information about certain aspects of a company that has not yet been made public but that will have at least a small impact on the company’s share price once released. It is illegal for holders of material insider information to use the information – however it was received – to their advantage in trading stock, or to provide the information to family members or friends so they can use it to make trades. FACT:	On an internal conference call, the FOUNDER, former CEO and BOARD MEMBER who owns 30% of the outstanding shares and is the FACE of the stock, used the N-word in some capacity on a private call. FACT: Anything said in this call would be considered material inside information if released by an individual. In one of the most puzzling moves ever witnessed, the company hired an independent board and made a release that John Schnatter was being removed for using the N-Word. They could have asked for a resignation, signed a settlement agreement to mutually part ways or even terminated him for violation of personal conduct codes and left it at that, but this brain trusts leaks out there that basically the name, face and trademark for over 20 years is a racist? While the stock price has fluctuated, the company’s future is bleak. The NBA, NFL, NHL and MLB are all cutting ties with Papa Johns and stadiums are changing their names. In addition, all commercials have been ended due to the need to make brand new commercials without their number one pitch man. There has been talk that they will now change their name but the damage has already been done. If the name was suddenly changed to “ Pizza Time: Better ingredients, Better pizza” is there any chance their number one marketing partners in the sports leagues will just go with it? The answer is obviously no, especially in an NFL reeling from Anthem protests and the NBA that is 80% African American players. In other words, they are doomed. College students (also known as Snowflakes) will certainly boycott any version of Papa John’s and social media sites are already banning all advertising and franchising is now going to the toilet because who would want to open a franchise right now? We believe this was a hit job by one of the larger cartel firms who are going to push for a merger /acquisition by a company they represent. All the usual suspects from J.P Morgan to Goldman to Blackrock hold large positions in all the pizza chains. We find it almost impossible that a board of a public company would literately blow itself up and potentially put the company into bankruptcy all because of one conference call and one careless use of a slur. There is no way the company’s investment banking adviser and Public Relations firm could have agreed to this sort of stunt. We believe a thorough investigation of all option activity and investment banking activity should be promptly conducted. This was a drive by mob hit on the company and its founder and nobody does that just to lose as much money as possible. We are in no way defending John Schnatter or his language, but we are defending investors and stockbrokers who may have put their clients into this stock as a long term play only to wake up to quite possibly the biggest public relations blunder in the history of Wall Street. ← PCAOB RELIEF FINALLY HERE?